Hey Fashion Bloggers! 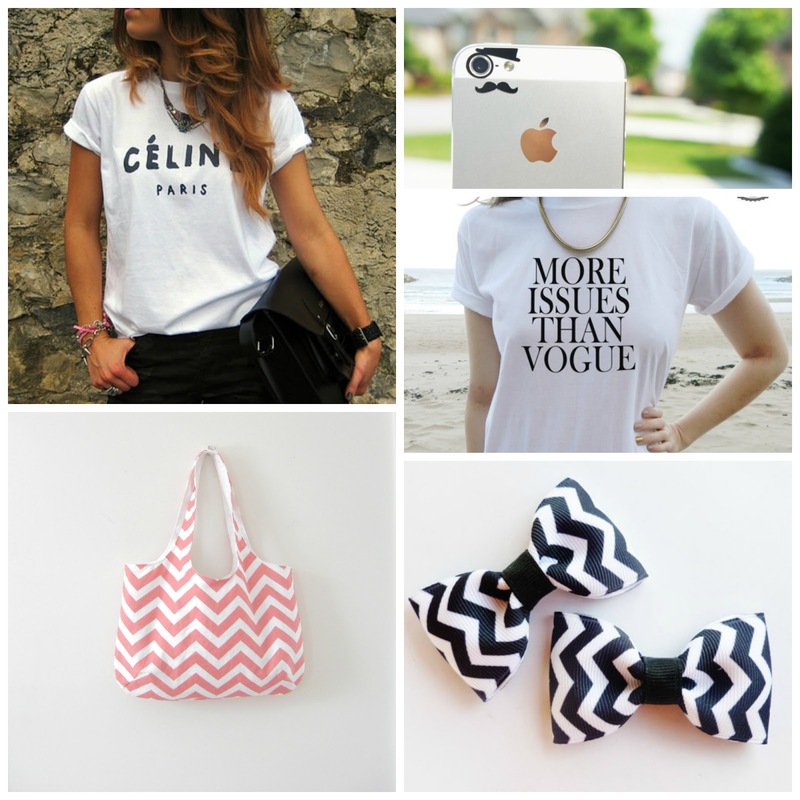 This post is a list of fashionable shops online with a twist! These shops are my top 5 money-saving, bargain-hunting finds! From all of these stores I always find good buys for cheap or reduced! In no particular order! 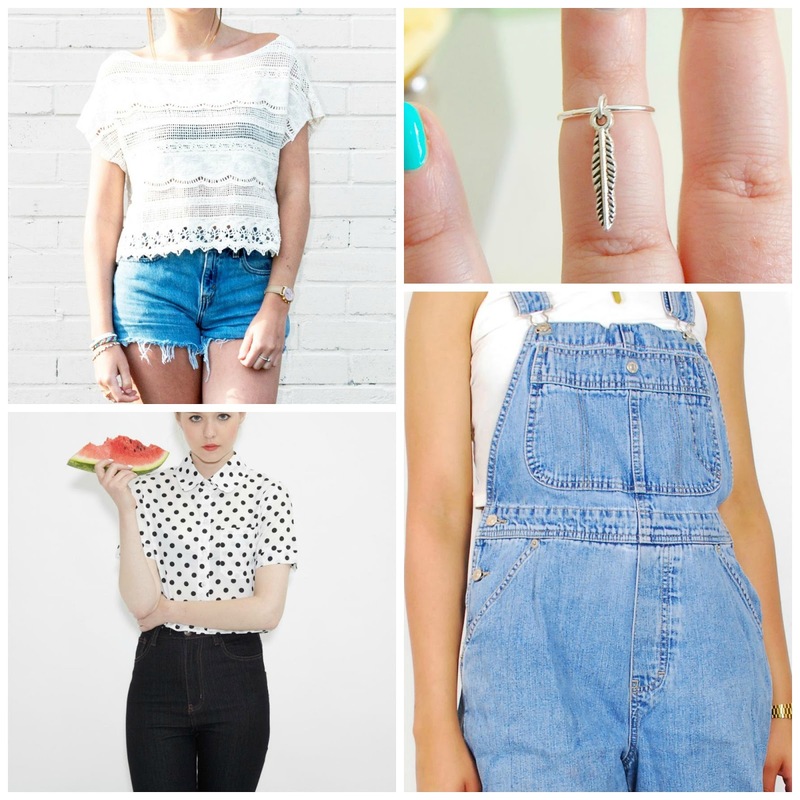 I'm not lying when I say Asos is my favourite shop! The majority of my wardrobe is bought from Asos! Not only do they sell clothes from High-Street stores (River Island, American Apparel, Adidas etc...) to Designer (Ted Baker, Paul Smith, Marc Jacobs etc...) they are reduced! Also, Asos sells their own Asos Brand which is cheap but classy! Their clothing brand sells everything you can think of! Don't even get me started on the Asos Sales, its like a dream come true! I am currently getting excited over the 70% off sale and 30% off all Rimmel Products! Although, I haven't bought from Asos Marketplace yet, I am pretty sure I will do soon, there is so many things I want from here! The Marketplace is where anyone all over the world can sell fashion to anyone all over the world! Their is individual selling their wardrobe for their next Fashion outfit or Boutiques which are small businesses that sell their own label or vintage clothing. It is truly perfect! You can buy vintage items, which I love! Or find new labels that is different and unique! I love it! As well as finding bargain items that are in store, their is thousands of limited edition or clothing pieces that aren't sold anymore! There is also different styles of fashion for everyone. Etsy is similar to Ebay and MarketPlaces. You can set up your own online shop, or on another hand - BUY FROM OTHER ONLINE SHOPS! All the prices on Etsy are reasonable or else no body will buy anything! Its a place where you can buy and sell and is usually handmade or vintage. You can browse the navigation, ranging from Art, Home and Living, Jewelry, Women, Men, Vintage, Wedding, Gifts, Crafts. There is everything you could think of, search something and it will be there. I always find cool things on here, the type of things you see on Tumblr but you have no idea where its from, and the price is so cheap! New Look is one of those shops you can go to when you find a really nice item but its too expensive for you to spend money, and you know you can go to New Look and find a similar copy for cheaper. Of course, the material wont be as good as that £200 plain white t shirt you like, but its good quality for £10 and it will last you as long as you want! Their clothing is simple and fashionable! Dont forget, one of the best money-saving! Lastly, a website I COULDN'T miss out when talking about the best money saving fashion websites! 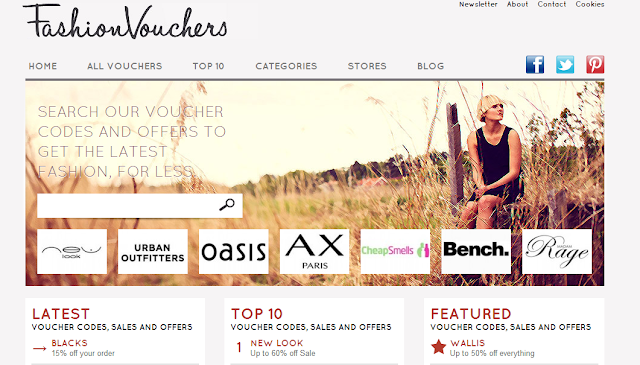 Fashion Vouchers gives you codes, offers and the latest fashion... FOR LESS! Can anything get better than that? Simply search a store, and you've got it! Finding discounts such as: 50% off Denim Clothes in New Look, Free UK Delivery, 20% Off Everything! You name it, you'll find it! This website has definitely helped a lot! Comment below any money-saving fashion stores you know of that I haven't listed above! 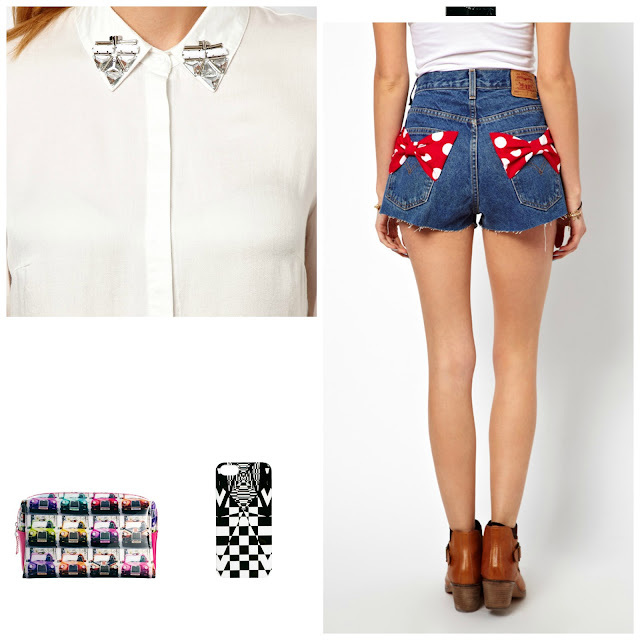 I love the shorts with the bows. Going to go check all these places out and see what I can find! I find great designer fashions at Labelshopper.com! Got some really cute new jackets for $29.99 and boots for less than $20!